The BBC, ITV and Sky have today written to the leaders of the Labour, Conservative and Liberal Democrat parties with a joint proposal for three live televised debates during the next general election campaign. The three broadcasters are proposing that each would be responsible for producing and broadcasting a single debate featuring the three party leaders. Each of the three debates would be transmitted live by the originating broadcaster in peak time and made available to all other British broadcasters subsequently. BBC News issued a statement this afternoon saying that the broadcasters have formed a joint team to discuss detailed plans with the political parties. Each of the broadcasters will seek to make suitable arrangements for ensuring due impartiality across the UK, the BBC said. 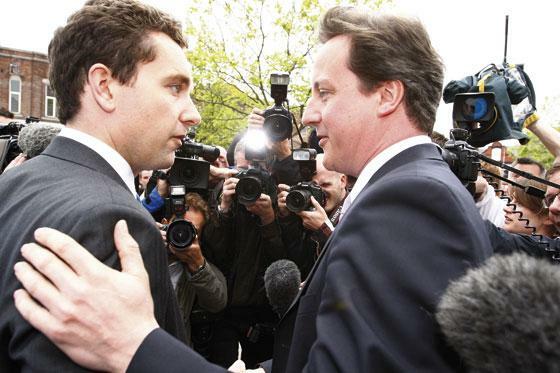 Conservative leader David Cameron and Liberal leader Nick Clegg both indicated that they would be willing to take part – Prime Minister Gordon Brown stalled on the issue. Only this week did Brown indicate he had made up his mind about appearing on a televised debate. However, he would not reveal what that was, calling it: “a question which has got to be dealt with nearer the election”.